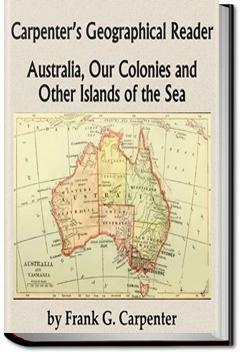 The purpose of this book is to give the children who read it a living knowledge of Australia and the chief islands of the world, and especially those which have become colonies or dependencies of the United States. In a personally conducted tour through the eyes of teh author they travel over [these islands], seeing our brown-skinned cousins of the several colonies as they are at home. They learn about the resources of the various islands, and of their value to the United States. They visit the people on the farms and in the factories. They spend some time in the cities and villages, and they explore the wilds, observing the wonders of plant and animal creation. This was a children’s geography reader from the late 1800’s (I think), focussing on the islands of the world, with special attention to American colonies. It was an interesting book and the writing style made me feel like I was traveling with the author.